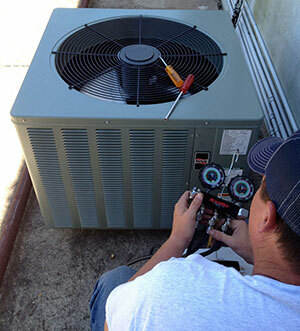 At Friendswood AC Repair specialist, Air Systems Texas, we recognize the comfort and efficiency needs your family has. Air Systems Texas specializes in residential AC & Heating. We offer repair, installation and maintenance on all brands of air conditioning and heating equipment. Our certified air conditioning technicians will arrive in fully stocked vans. Equipment unable to be stocked is available same day in most cases. All technicians conduct themselves in a Christian manner. For residential AC & Heating in Friendswood, Air Systems Texas is at your service! Our residential AC & Heating services are the best in Friendswood. We stand behind the quality of our work with a 100% MONEY BACK GUARANTEE ! You won’t find service like this anywhere else! We certify the accurate and required repairs are performed and offer the following services. We understand you have a busy schedule; therefore, we work with your schedule to accommodate your busy life. We are the best AC Repair Service in Friendswood Texas. For Residential AC & Heating Repair Friendswood Calls on Air Systems Texas! Air Systems Texas is an “A+” rated company with the Better Business Bureau. We are proud of our rating and always strive to offer the very best Residential AC services in Friendswood Texas. We know that our BBB ranking is something that prudent shoppers respect and value when making a decsion to use a service like ours. Our Residential Air conditioning repair in Friendswood is second to none. Not only are we located in Friendswood, but we live and thrive in this community. We call Friendswood home. We serve in the Friendswood community and attend Friendswood churches. We are proud to be your neighbor and want to earn your business. We know that you could choose anyone to provide you with Residentail AC & Heat repairs in Friendswood. We want to be your choice and understand that by choosing us we are not only in charge of making cost effective, timely air conditioning and heating repairs, but we are also responsible for earning your trust, your business, and your friendship. Thank you for your business.